The R.R. Foil Plant Science Research Center, also known as North Farm, is located on 650 acres across State Highway 182 from the north end of the Mississippi State University campus in Starkville. Delta Jazz crepe myrtles line the entrance of the farm with true maroon foliage and bright, full blooms. The MSU Veterans Memorial Rose Garden is to the right just after the entrance. The Soil-Atmosphere-Plant-Research facility is to the left. 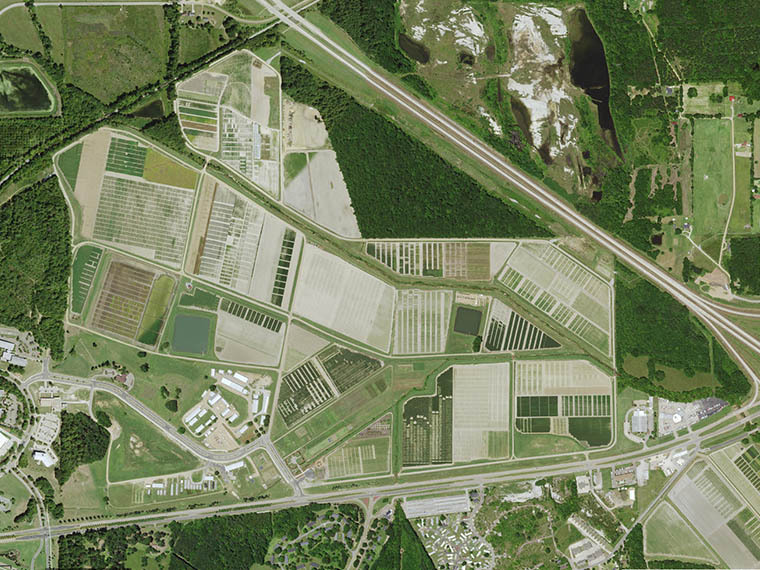 The SPAR facility is one of only a handful of research centers of its kind in the entire world. The university’s Veterans Memorial Rose Garden features a central gazebo surrounded by raised brick-bordered beds and three arbors. Compliant with the Americans with Disabilities Act, the peaceful public space is home to more than 200 plants and 60 rose varieties, including Old Garden, modern shrub and groundcover. Spring and fall are the peak blooming seasons. SPAR is a state-of-art controlled environment research facility, which includes ten outdoor naturally-lit chambers. The environmental factors of each chamber are controlled remotely with computers that monitor 610 various environmental and plant process signals every ten seconds with the system. The facility focuses on how scientists can improve crops to withstand the abiotic stresses brought about by climate change. Just past SPAR, the Mississippi Trial Gardens is dedicated to researching plants for the Southern gardener. The team identifies, evaluates, and promotes plants that are well-suited to Mississippi landscapes. The gardens serve as a demonstration site for workshops and educational opportunities for the home gardener. Row-crop research is conducted just beyond the rose garden. There dozens of award-winning MAFES and Extension faculty manage on-farm projects that serve as a showcase for visiting scientists from across the globe while providing a hands-on teaching laboratory for the hundreds of students engaged in work on the farm. The farm is also used for outreach and educational demonstrations for producers across Mississippi and the Midsouth. 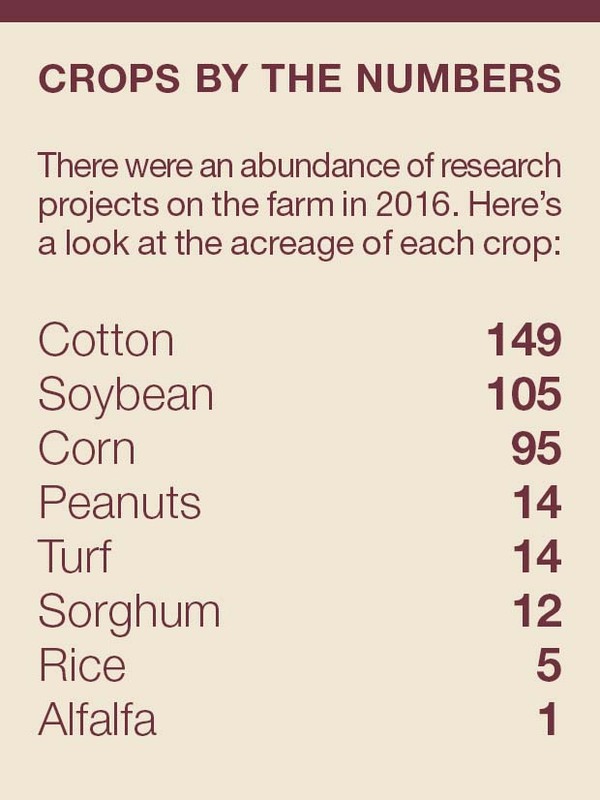 Over 400 acres are divided into 95 research plots to showcase research on commodities like cotton, soybean, corn, rice, peanuts, grain sorghum, and more. Research is also performed with turf, ornamentals, and aquatic weeds/plants. This facility furnishes the research scientists with necessary greenhouse environments, laboratory needs, and a variety of storage areas. The research support staff on this station are responsible for land assignments, labor, and equipment to aid researchers in implementing their various protocols along with maintaining overall aesthetics of the entire facility.